When we are overwhelmed by fear, we lose touch with our bodies and ourselves. We enter an altered state of consciousness where our perception is clouded and truth is hard to find. In this 3-hr workshop, we will use Kundalini Yoga and Sound Healing to release fear, deepen into trust, and ground into the sanctuary of our bodies. Join us on this journey back to the self. Sound Journeys are an invitation to relax deeply and open to your own innate wisdom and healing power. Voice, crystal singing bowls and percussion instruments are used to create a web of harmonies and melodies to awaken, heal and activate the body into wholeness. Arise refreshed, renewed, and expanded in your sense of self. Kundalini Yoga is the yoga of awareness, and focuses on priming our sensory system so we can experience the most out of life. Expect a series of postures aligned with breathwork, mantra, and mudras that will enliven and move you. All levels, including Kundalini newbies, welcome! SoundWork is the art of creating sound from a ceremonial container to channel divine frequencies for the highest good. When we resonate our highest self, we are able to flow in the world through aligned choices that serve us. It starts with being immersed in the frequency of divinity. In SoundWork, voice, crystal singing bowls, and percussion instruments are used to create a blissful landscape of sounds to heal, soothe, and activate our being into wholeness. Group and private sessions available. 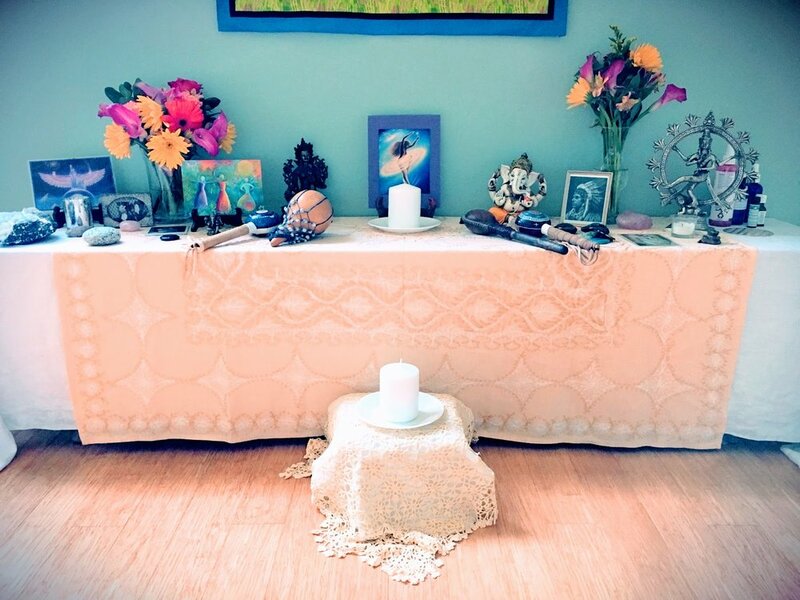 Ceremony is the art of connecting with divine source energy through an established form. Forms can take many shapes, but all are grounded in intention and use tools, practices, and objects that represent an aspect of the divine. Learn how to strengthen your relationship with infinite source consciousness through ceremony. Kundalini Yoga, as brought to the west in 1969 by Yogi Bhajan, is the yoga of awareness. It uses specific sequences of postures, aligned with breath and mantras, to address physical, emotional, and energetic wellbeing. The core goal is activating the kundalini, the body's creative life force, to enliven the body to its highest potential. The practice is designed to strengthen all systems of the body so that greater consciousness is available and physical vitality is maximized. Group and private classes available. 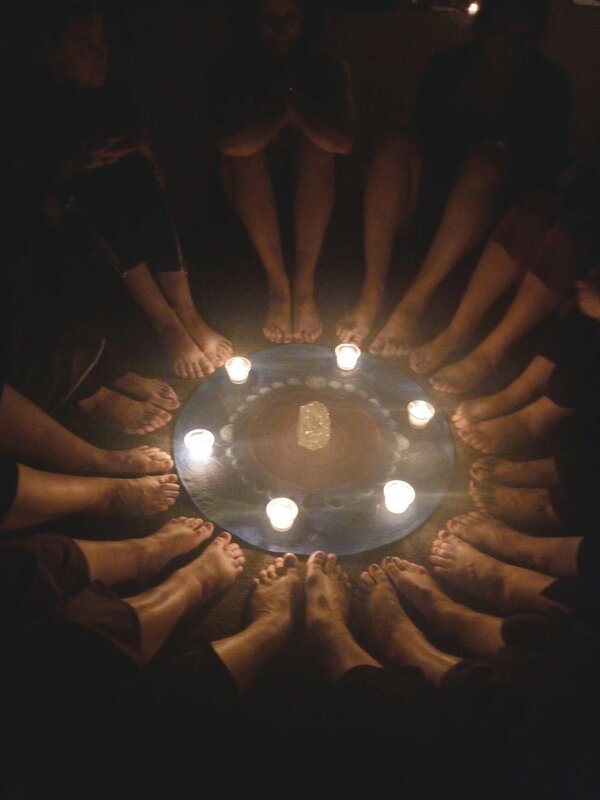 7Directions® is an earth-based dance ceremony where movement becomes medicine to engage the body and explore one's relationship with the sacred within and without. This practice is an invitation to allow internal impulses to guide movement and unlock body wisdom. Movement is not choreographed or guided, but is instead a personal journey. An eclectic blend of world, electric, tribal and devotional music is intentionally woven together per ceremony. 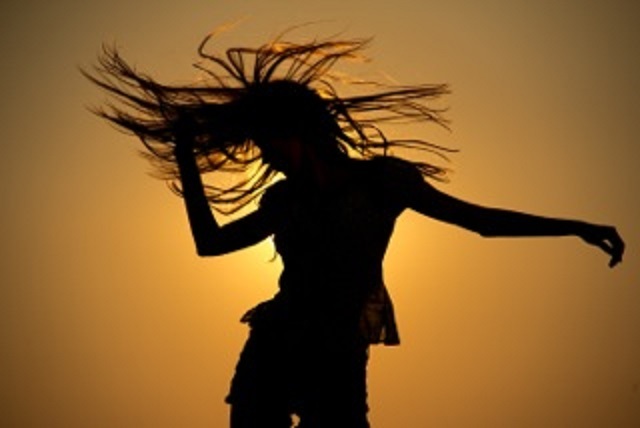 Embodiment is harmonizing our inner world with our outer world for ecstatic living and bountiful creative expression. It’s where we take what we learn to be true for ourselves and align our being in integrity with that truth. It’s the difference between believing spiritual concepts and activating them through conscious choice. Embodiment is a life-long journey and ongoing evolution. It starts with tending to our relationship with the self and healing our separation from the divine. Drawing from her varied experience and learned tools in claiming her own sacred, Adriana offers private sessions to support your embodiment process. 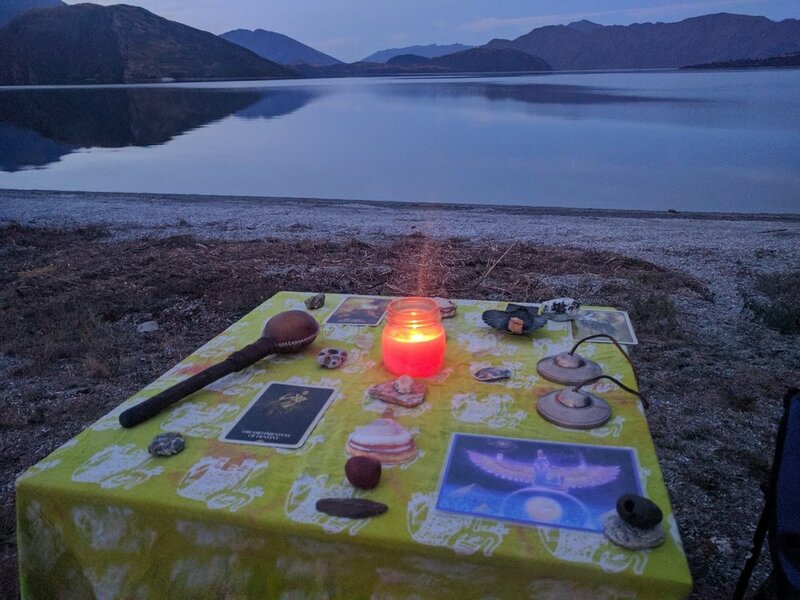 Sessions are customized to meet individual needs and include a unique blend of guided meditation, sound healing, kundalini yoga, intuitive guidance, and ceremonial teachings. She will send you home with personalized take-home practices to support your exploration and activation of the sacred within. To schedule a session, or explore how it could support you, use the request button below. Thank you for your interest in connecting, and congratulations on choosing embodiment! I'll get back to you within 72 hours with next steps. Have a wonderful day. Sign up for event updates and resources to claim your inner sacred. Copyright © 2018 Claim Your Sacred. All rights reserved.